Compact, durable, and expandable, the KeySmart is a Swiss Army style key holder that eliminates the bulk in your pocket and the sound of noisy keys. 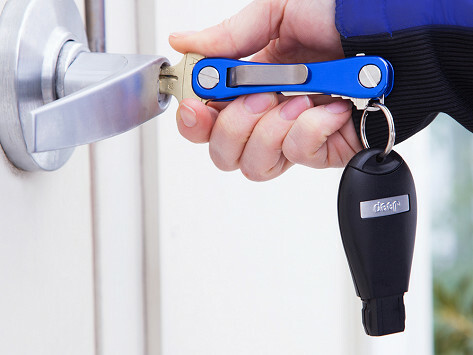 The Rugged Key Organizer features a built-in pocket clip and bottle opener. Dimensions: 3.74" x 0.31" x 0.25"